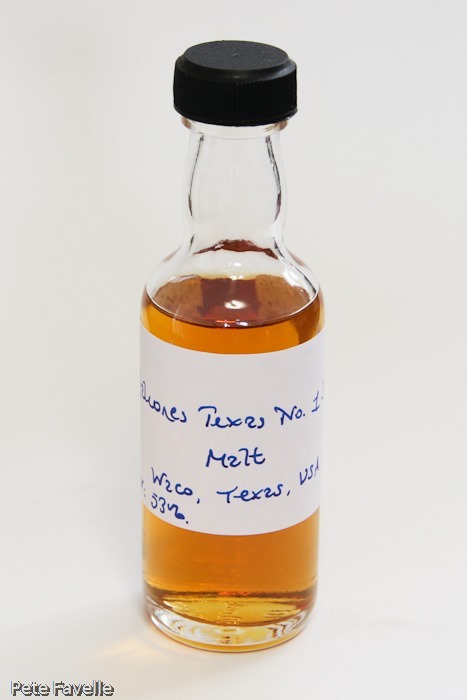 When I think of American whisky (or whiskey – the jury would seem to be out on this one), I generally think of Kentucky and Tennessee, and maybe a few other states in that middle band of the country. Where I certainly do not think of is Texas. Surely they’re too busy pumping oil and raising cattle to be messing about distilling whisky? I’m pretty sure I never saw a still when I was watching Dallas in my youth. 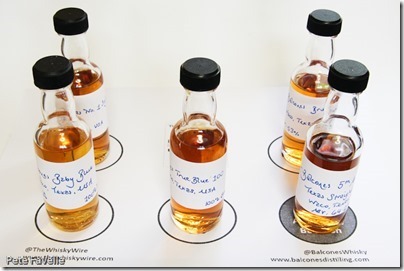 So when I saw that The Whisky Wire had an upcoming Twitter Tasting for Texan distillery Balcones, it was impossible to resist. 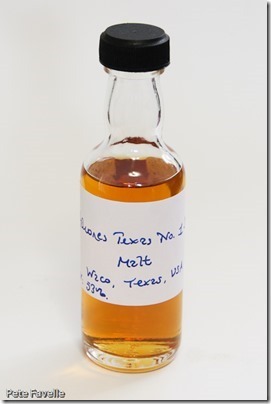 Founded just five years ago, Balcones is one of a small but growing band of distilleries producing whisky in Texas – although the only one I’ve come across so far which spells ‘whisky’ correctly! 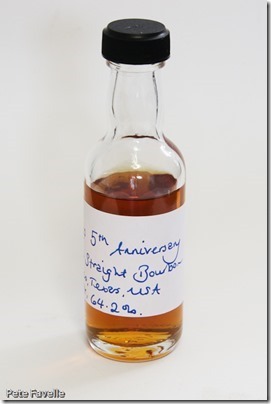 This evenings tasting takes in four drams from their core range of seven, plus a rather special preview of their fifth anniversary single barrel bottling. Unlike the rest of their range, this is 100% barley and as such has more in common with our whiskies here than what we think of as the American version. The strength varies from bottling to bottling, our sample coming in at 53% ABV. The nose is powerful and sweet; dark toffee, honey, an artificial banana flavour and a lot more alcohol than the strength might suggest. My twitter stream seems to be getting a lot of wood on the nose, but I’m not getting it myself. Over time, melting buttery notes and woody spices come through and those combine with the toffee to put me in mind of a tarte tatin being made in my glass. A splash of water brings more fruity notes, and suddenly I understand why my fellow tweeters have been talking about toffee apples and it reinforces my tarte tatin thoughts (this may be influenced by the tarte tatin we have in the fridge downstairs, to be fair). It’s powerful in the mouth too; big, burning alcohol and a deep, rich spice that lingers long in the mouth. There’s a slight bitterness on the tip of the tongue as you take your first sip, but sweet honey soon washes over it and leads you toward an almost chilli like finish. Water smooth it all out, and calms down the alcohol without knocking the honey or the spices back at all – it becomes almost dangerously drinkable. 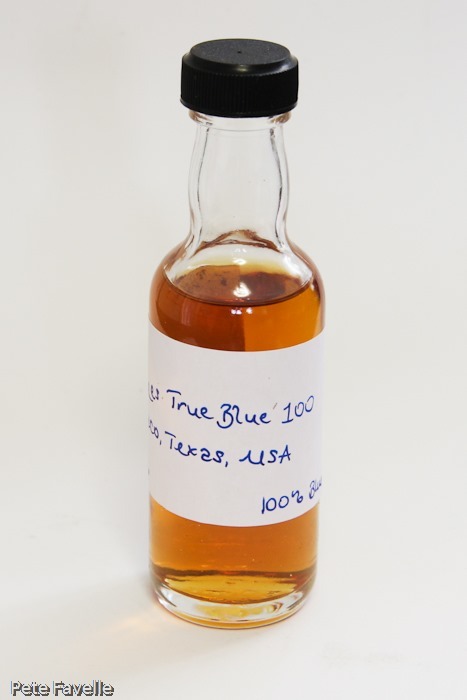 This is a 100% corn whisky, made from a roasted blue corn meal called ‘atole’ (although rather disappointingly, the resulting whisky isn’t blue). 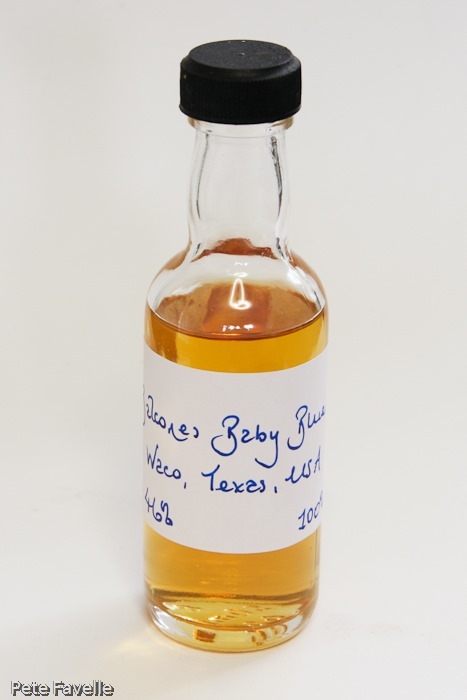 Baby Blue also has the rather unique distinction of being the first Texas whisky on the market since prohibition; it’s bottled at a reserved 46% ABV. 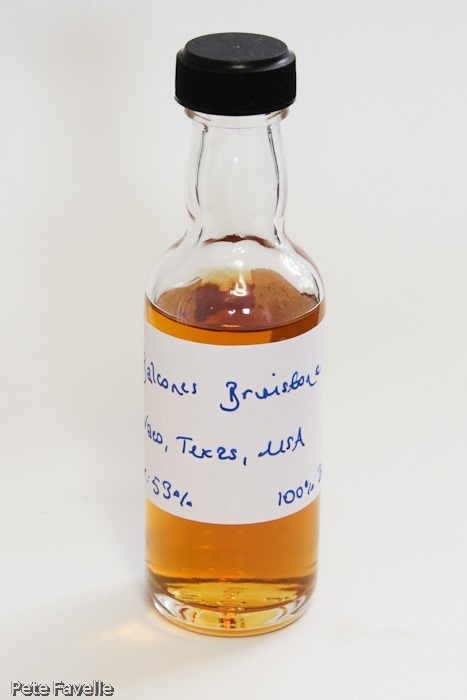 It’s a very different whisky on the nose – light, toasted corn with white sugar slowly putting in an appearance, and a kind of resinous sawdust. As it sits in the glass the butter once again puts in a big appearance, along with cooked bananas and some strong vanilla notes. Softer with water, some subtle nutmeg appears and the sugar is darkened. Very smooth in the mouth; sugar syrup coating the insides of my cheeks, creamy, richer than the nose suggested with some really nice wood spice towards the end, and a hint of salt. Water really overwhelms it, flattening everything. Definitely one to be drunk neat. Someone on twitter suggests freezing it and serving over ice cream – if I manage to keep any back (which frankly isn’t likely right now) I shall have to try this. 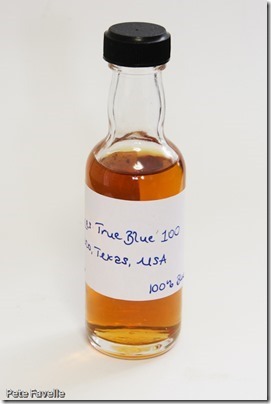 The sibling of Baby Blue, this is bottled at a slightly stronger 50% ABV – or 100 proof, in American terms, thus the name. More than just a supercharged version of Baby Blue, the nose is somehow medicinal, with spun sugar and dried apricots. Not, however, the “warm washing from the tumble dryer” that is mentioned on twitter! Over time, sherry and more dried fruits emerge, along with a touch of chocolate, and we’re into Christmas pudding territory and water just helps ease those aromas out more. Terrific on tasting; warm, fruity, a nice belt of wood spice and chocolate is there too. More dark, alcohol-soaked fruit in the finish, with a nice tannic kick to it as well. This is pretty damn good dram. Less sweet and syrupy with water, but still nicely rich and fruity – more chocolate dipped cherries than Christmas pudding now. 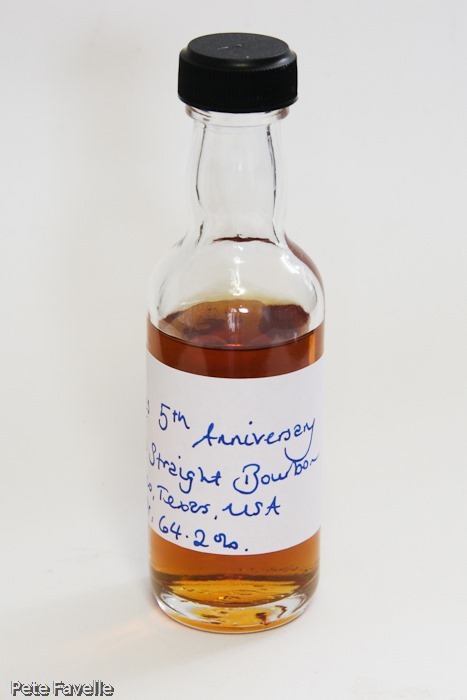 A pretty special single barrel bottling, to celebrate the fifth year of the distillery. This is the first of 4 such releases due this year, and is surprisingly well priced for such a limited release at less than £100. At 64.2% ABV, the aroma has a massive alcohol punch to it. Under that is dried citrus peel, fruit molasses and a touch of marzipan. As before, there’s just a hint of wood resin buried underneath everything else. A splash of water makes it a little creamier, but does little else to tame it. I don’t know what I was expecting on tasting this, but whatever it was I was wrong. First off, the alcohol isn’t nearly as aggressive as the nose suggests, but there’s a huge amount of other stuff going on – black treacle, dried oranges, a real chilli heat and some salt and pepper coming through later. If there’s a downside, it’s that the finish is too short but that’s a minor quibble. Water really opens it out – everything is still there, but now I’m getting a more generous finish, as if the whole dram has just stretched out in my mouth. 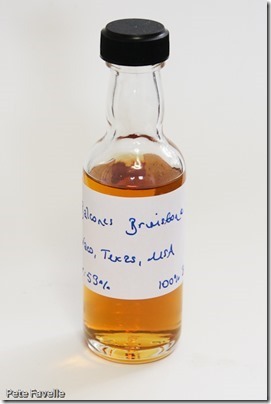 Another 100% corn whisky, this has been smoked with Texas oak which, given my love for Islay, can only be a good thing. The nose is deeply smoky, but it’s very distinctly wood smoke rather than peat smoke – it’s like a camp fire in the woods, and sausages crackling in a pan on top of it. Over time, a definite rubbery aroma too, which is … odd. Water doesn’t do much to the rubber, but it does lose a lot of the smoke. The rubber comes through in the taste too, which I’m not in love with. I am, however, in love with the wood smoke which makes a really interesting change from my more usual peat smoke. There’s orange chocolate lurking underneath, bringing a nice but subtle sweetness, and a very dry finish. Water chases away the rubber from the taste, but it takes a lot of the interest with it – it becomes more of a regular dram. Overall, not my favourite of the night by a long way, but it’s certainly something different. My fellow tweeters all seem to be more enamoured with it, so maybe it’s just not for me. Master of Malt have a lot of the Balcones range available – including this excellent Balcones Whisky Tasting Set with five of their excellent Drinks by the Dram bottles for just £26.44 at the time of writing. 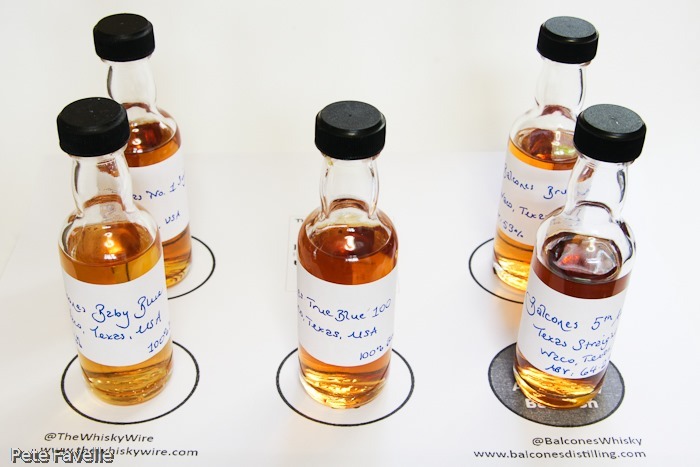 Many thanks to Balcones and The Whisky Wire for arranging this tasting and providing the samples. For me Balcones is the best one! Soon I will make one drink recipe of Balcones whiskey and I will share on my blog.